WTF Are You Reading? : Reap the Rewards of "Repear's Novice"
This book is wonderful for so many reasons. 1. The setting- This is one of the few books that doesn't take place in the U.S.
2. The family- There is one...with two parents and everything! The main drive of the plot is keeping the family alive and in tact. Go figure. 3. 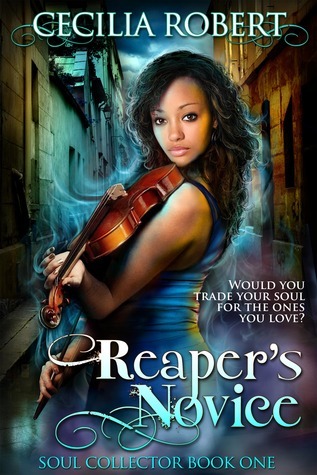 The reaper- He is funny, charming, and anything but grim. Ana reads as a very sincere protagonist and as such, is very likeable from the start. Her bargain with Ernest/Grim seems pretty cut and dry on first glance; given the reversal of the horrific loss that she suffers. That is until both the reader and Ana learn secrets about her and her new found position. Ana's romance and the support cast of her friends where a joy to read. The one drawback to this read was the repetitive use of her family as "the prize behind door number 2". When it came to important choices. This is a very well written story that puts a new spin on what it means to be a Grim. 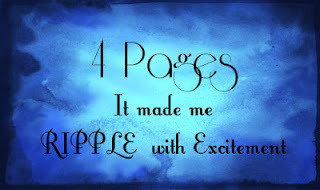 This reviewer is looking forward to reading more in the series.